In today’s blog we are going to look at how Mindful Somatic Movement is beneficial on many levels. 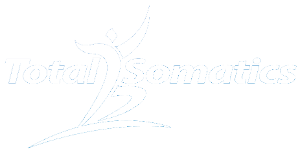 If you are a regular reader of my weekly blogs you will know that Somatic Movement is fantastic for reducing pain, improving posture, increasing mobility and allowing people to continue or resume activities they love to do. However today we will look at how Mindful Somatic Movement can work on a deeper level. Mindful Somatic Movement is very different to exercise. When we practise somatic movement, we move away from counting repetitions and focus on how we feel from within. When we notice the subtle feedback from our internal environment, we know that quality movements with an effective softening and release of muscles is far superior to quantity. Mindful Somatic Movement involves paying close attention to our bodily sensations, how we move and position ourselves in space as well as sensing, feeling and noticing the deep yet subtle feedback from within such as our heart rate and breath rate. Noticing the subconscious or unconscious actions of your heart rate and breath rate allows you to connect on a deeper level with your mind and body. Noticing the speed, depth, quality of your breath rate and heart rate provides an insight into the level of tension and pressure your nervous system is currently working at. When we connect with ourselves on a deeper level, we can see how we are able to slow down stress responses within our body with mindful somatic movement and deep rhythmical breathing. Mindful Somatic Movement can reduce the severity of symptoms in Post Traumatic Stress Disorder (PTSD). I work with clinical Psychologists who address certain techniques and approaches for PTSD with clients. As a Somatics Educator, I complement their work by seeing clients clinically, in class or online to help them sense and notice their body, movements, subtle feedback such as their breath rate and feel what it is like to truly live and embrace their amazing mind and body. “Mindfulness is simply being aware of what is happening right now without wishing it were different. Enjoying the pleasant without holding on when it changes (which it will). In Somatics we refer to our whole being, our emotional, mental and physical self as our soma. We are highly sensitive and constantly absorbing new experiences and emotions. From our perception, we follow a certain choice and notice the consequences. From this we continue to adapt, change and grow. This could be noticing our daily habits such as movement, posture, behaviour and limiting beliefs. It could be the fear to move out of our comfort zone and away from procrastination. However life is ever changing and dynamic and if we allow ourselves to grow and develop by creating a mindful somatic movement practise, we will see how much we continue to grow, change and develop as a soma, constantly fine tuning and adapting to the curve balls and exciting challenges in our life. You may be reading this and thinking “Wow! This is deep!” Interestingly enough when people begin practising Mindful Somatic Movement they initially plan to reduce pain, increase mobility and improve posture. They find however that they receive these benefits and much more. When they start moving their body, they begin to release long held tension and tightness from stress, anxiety and the everyday challenges in life. When they start softening this tension, they notice emotions and deep held stress can begin to release. Often the chronic neck pain or debilitating lower back ache may often be linked to an emotionally challenging time in their life. They may also find it is the same area of pain when pressure builds in their life. Practising Mindful Somatic Movement allows you to become better acquainted with your inner world. As you heighten your awareness, your brain changes action and shape, creating greater brain space for focus, concentration, emotional intelligence and objectivity rather than being impulsive and reactive to highly charged situations. This change in neural landscape allows for a deeper and highly tuned focus to what is happening with your internal environment. So as you go about your daily activities, you begin to notice much more about how you move, act, think, speak, behave, listen to, read and associate with, knowing this shapes your physical, emotional and mental (somatic) health. If you feel an area is impacting on your somatic health, you feel it is important to make changes to create equilibrium, so you feel healthier from the inside out. From reading the blogs above you will notice how intimately connected our mind and body are. Our brain may be the control centre for body movement, however the way we move and the amount we move has a huge affect on how we think and feel. Often practising mindful somatic movement allows us to release long held emotional tension and stress which we may have repressed in order to function day to day. However repressed emotions eventually catch up with us in the form of muscular pain, tension, digestive complaints or disorders, reproductive issues, increased levels of inflammation, insomnia and mood changes, just to name a few. Would you like to gain a deeper understanding of how you can combine mindfulness, somatic movement and mindset skills into your daily activities? Apart from reducing pain, improving posture and increasing mobility, would you also like to release long held muscle tension caused by repressed emotion, develop resilience, gain a deeper understanding of how and why your mind and body have been working a certain way? Would you like to learn how your brain can change habits and behaviours to improve your quality of life? 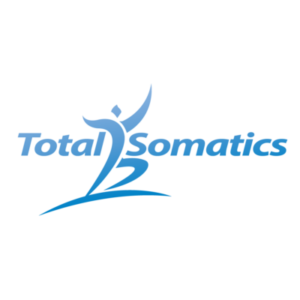 I have created The Total Somatics Approach To Health & Wellness Online Program at www.TotalSomatics.com. It continues to be a popular choice for people around the world wanting to educate and empower themselves in the area of their own health and wellbeing. In the privacy and comfort of your own home, at a time that suits you, you can watch videos, listen to audios and benefit from all the downloadable support material. I am available on Zoom, Skype or email during your time online, so please reach out to me, I am here for you. I look forward to teaching you these amazing skills.